Interview with Michael Adams, PhD. In the world of spine research, few have contributed as much as Dr. Michael Adams. In his work as a clinical professor of biomechanics at the University of Bristol in the U.K., he and his research colleagues have helped to further our understanding of the cause of one of the most common maladies affecting humans…back pain. His watershed research 20 years ago helped us understand the diurnal phenomenon in lumbar discs which results in markedly increased risk of disc injury in the first hour after arising due to increased hydrostatic pressure. Over the past 30 years, his area of focus in his dozens of research projects have moved from pain of vertebral endplate origin, to pain of nucleus pulposus origin, to his most recent interest in pain of annulus fibrosus origin. Mr. Adams’ recent opinion paper on future strategies for treatment of back pain of annular origin raises some interesting questions that touch on some hot topics in the world of rehab. He notes the similarity of the annular tissue to tendon tissue and wonders whether clinicians should consider loading the annulus strategically during specific phases of rehab to improve outcomes. Given that some of that loading might be arguably be into flexion, I wanted to talk with Mr. Adams about how we might explore these loading vectors safely to avoid risk of re-injury to patients. I also wanted to get his opinion on what the research says about the wisdom of loading the flexed spine with exercise in the un-injured spine. As a personal aside, Dr. Adams’ opinion is counter to my clinical experience and challenges my understanding of the science of disc injury and mechanics. He freely admits that his experience is not clinical, or in the field of exercise science. However, we should listen to folks with 30 years of focused attention on the biomechanics of the spine. Some of the points in this interview may rub with some of the tenants of Dr. Stuart McGill’s approach to the spine based on his research. Dr. Stuart McGill and Dr. Adams are colleagues and know each other well and their opinions and research are more similar than different. I would love to see a collegial roundtable discussion that involved these guys and a few others with the focus being on the lumbar disc! Ultimately, my clinical goals and my goals with MyRehabExercise.com, are to improve public health and patient outcomes. As folks listen to this interview, I would encourage us all to keep such goals in mind, rather than adhering to our own viewpoints and refusing to be thoughtful in the consideration of the opinions of others. Ultimately, as healthcare professionals, our duty is to our patients and clients, and they depend on us for distillation of science as best we can. When the path is less certain in practice, we owe it to our patients to let them know when that path moves from the paved roads of science, onto the rocky roads of personal experience and anecdote. I would also be remiss if I didn’t remind you about the membership portion of this blog which is a library of functional rehab exercise tutorial videos to help with patient/client exercise instruction. Cost is only $9.99 per month and you can trial it for 30 days wit no obligation for only $1. To learn more, click on the video and links to the right of the page here, or just click here to go get started. Sorry for the sound quality issue towards the end as a mic battery was apparently failing. I attempted to recap the points that Dr. Adams was making during that time. Enjoy the interview! Click on the arrow below to hear the interview with Michael Adams, PhD. Adams MA, Stefanakis M, Dolan P. Healing of a painful intervertebral disc should not be confused with reversing disc degeneration: implications for physical therapies for discogenic back pain. Clin Biomech (Bristol, Avon). 2010 Dec;25(10):961-71. Epub 2010 Aug 23. Charlie Weingroff, DPT is a Renaissance Man! After 12 years in the NBA as the head strength and conditioning coach for the Philadelphia 76ers, he added the doctorate to his PT degree and went to work as lead PT and trainer for the US Marine Corps Special Operations. Charlie’s work is highly influenced by his involvement with FMS, DNS and recently RKC. He has been pivotal in arguing for the inclusion of qualified personal trainers in the rehab continuum and his DVDs, Training = Rehab, Rehab = Training help show trainers how to integrate with rehab clinicians like physical therapists, chiropractors and medical physicians. Plainly put, if you’re a personal trainer, and you don’t have these DVDs, you’re behind the curve. Get them and take your seat at the table with those of us who are part of the Rehab Renaissance and let’s make a difference in public health! To help foster that movement, Charlie has also been very helpful in providing direction and guidance on MyRehabExercise.com. This library of functional corrective exercise videos is only $9.99 per month and will help clinicians and trainers teach excellent rehab exercises to patients and clients. Trial it for only $1 for 30 days, no contract or obligation. Check out the information video to the right of the page here. Exciting new things are now on Dr. Weingroff’s horizon and he took a moment from his busy schedule to chat about some of the buzz topics in the literature and the blogosphere recently. Is there a place in the rehab or training program for crunches and other loaded spine flexion exercise? Is ISCRS the definitive, multi-disciplinary community of rehab and fitness professionals? 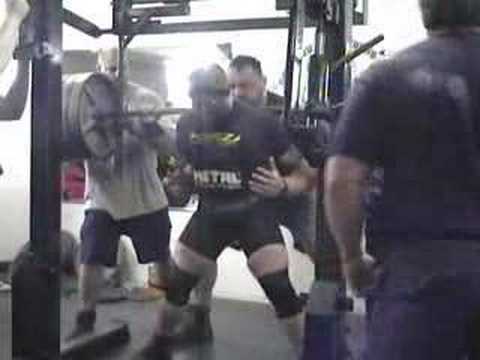 How does Dynamic Neuromuscular Stabilization influence the TGU, powerlifting, etc.? Why should you be keeping your chin tucked if you’re lifting heavy? How does Joint by Joint Expanded view elbow pain? Recent conversation between Charlie and Pavel Tsatsouline of RKC. If you’d like to catch more from Dr. Weingroff, check out this link to a webinar at StrengthCoach.com. StrengthCoach.com is a great resource of training info like this and you can once again get CE credits for listening to this broadcasts. For those of you interested in joining a community of rehab/performance oriented professionals such as chiropractors, physical therapists, personal trainers, athletic trainers and body workers, join the International Society of Clinical Rehabilitation Specialists (ISCRS). And as a parting shot, here’s Charlie under the bar…love the massive vertical leap at the end. Thanks again Charlie!! Spine researcher Stuart McGill, PhD, was kind enough to spend some time answering some questions I had about recent developments in the spine literature and popular culture. We discussed a recent article in Strength and Conditioning Journal by noted blogger and trainer, Bret Contreras and co-author Brad Schoenfeld entitled To Crunch or Not to Crunch: An Evidence-Based Examination of Spinal Flexion Exercises, Their Potential Risks, and Their Applicability to Program Design. This article was picked up by Gretchen Reynolds in the Health section of the New York Times. Contreras and Schoenfeld contend that some loaded flexion of the lumbar spine, in a well chosen population is not only OK, but also, perhaps even health promoting. Dr. McGill weighs in on this topic with his understanding of the literature and his experience working with elite athletes. For those interested in learning more about Dr. McGill’s approach, check out his DVDs and books at BackFitPro.com. Osteopath, Dr. Eyal Lederman authored a rather provocatively titled paper in Journal of Bodywork and Movement Therapy entitled The Fall of the Postural-Structural-Biomechanical Model in April 2011. In that issue, several multidisciplinary luminaries responded to Dr. Lederman’s contention that a more encompassing clinical model was needed in management of musculoskeletal pain. We discussed some of the tenets of his Process Approach model, noting the similarities to Gordon Waddell’s Biopsychosocial Model. Corrective exercises from Dr. McGill are located on MyRehabExercise.com as well as corrections from the FMS/SFMA work, Craig Liebenson, Robin McKenzie, Vlad Janda, Eric Cressey, the kettlebell community and many more. These videos are thorough tutorials, in patient/client friendly verbiage for clinicians, bodyworkers, trainers and coaches to use to help simplify patient education. Trial the site for $1 for 30 days. If you like it, it’s only $9.99 per month! Great for abs, still bad for backs. Click on the arrow below to play. Feel free to share by download or linking! Articles we mentioned are linked below. Enjoy! *Catch Dr. Stuart McGill in person in LA October 15-16, 2011 when he’s hosted by Clare Frank, DPT and Cynergy Education Group. This 2 day workshop will cover Ultimate Back Fitness and Performance. * Link to Videman’s paper, Challenging the Cumulative Injury Model: Positive Effects of Greater Body Mass on Disc Degeneration. * Link to Hebert et al’s paper, Clinical Predictions for Success of Interventions for Managing Low Back Pain.